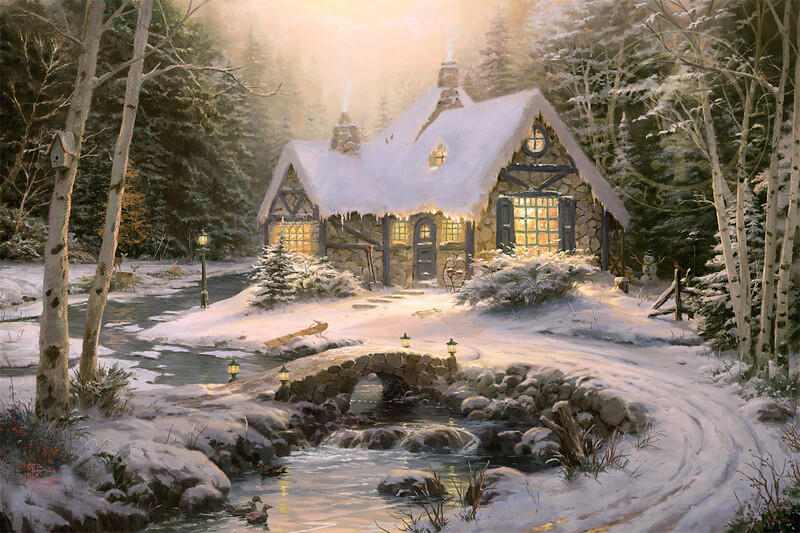 In Winter Light Cottage, the world seems calm and bright under a pristine white blanket of snow. The freshly fallen powder has prompted snowball fights, sledding and the building of snowmen. As the cool winter sun gives way to the brisk night air, you realize you have found your quiet place of peace to enjoy the Christmas season. As you look closely, hidden in the scene are a few favorite animals. Three delicate fawns are approaching the cottage, seemingly wanting to join in the reverent mood and peace of the moment. Two male cardinals are hard to miss; they seem to glow like red-hot coals in the snow.